Sunshine Coast luxury resorts don’t get much better than this. This is the concept resort that is turning everyone’s heads. From the highly original ‘shaped’ balconies to the stunning interiors, this is holiday accommodation that delivers the dream holiday in spades. The shared outdoor entertainment area in the courtyard has been given similar architectural consideration. The gorgeous heated pool, outdoor spa and barbeque are present as standard amenities, but their presentation in the exquisitely landscaped garden setting is far from ordinary. It’s a retreat to soothe the senses. 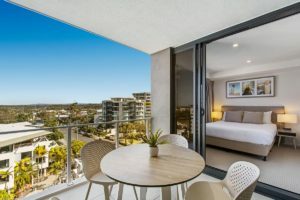 The Mooloolaba accommodation. Everyone will appreciate the gorgeous use of materials and finishes accentuating the marvelous interiors. 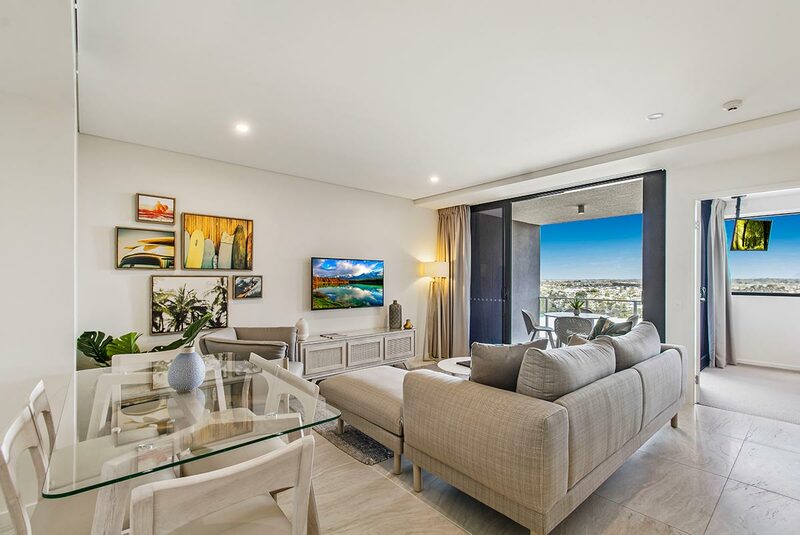 With space for all, and wraparound windows for maximum views of the Sunshine Coast you know you’re in for a special accommodation experience. The chefs kitchens add a further dimension to the apartments. 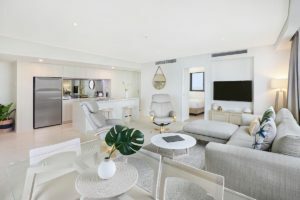 Whether you choose to stay at the one, two or three bedroom apartments, you have the same luxury of space, light and amenity baked into the apartments. Not to mention the free wi-fi, full air conditioning, and cable television. The fully equipped laundries are also important for longer stays. 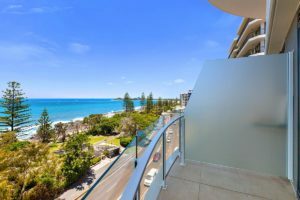 Occupying absolute beachfront position in front of Mooloolaba Beach, one of the Sunshine Coasts favorites, The Breeze is your gateway to the holiday of your dreams. Learning to surf or learn to dive while you are here in Mooloolaba. The artificial reef HMAS Brisbane is an adventure that few divers will ignore. It’s one of the prime diving fixtures on the Sunshine Coast. If you already have your license to dive, you can just hire the gear and take a ride in one of the many charters. If you haven’t got your divers ticket and you’d like to, the Sunreef Diving Facility is a school with an international reputation. You are in safe hands. Surfers will find plenty of locations nearby on the Sunshine Coast to satisfy their urge to ride the waves. Groms can get expert training in Mooloolaba or the Alex Heads. Don’t want to surf or dive, that’s fine too. You can hang out poolside, or drop your beach towel on Mooloolaba Beach. Remember, Sunshine Coast luxury resorts won’t get better than this. Book your perfect holiday accommodation at The Breeze now.